Same Day Service! We can usually provide same day service if you submit a request before 12:00 noon. Warm Refrigerator? Oven not heating? Microwave not powering? We only sell factory authorized parts. One of the top ten reasons for house fires starts with your dryer. Keeping your dryer and vent clear of lint is vitally important. Lint is a flammable material and needs to be cleaned out of both your machine and Dryer Duct by a professional on annual basis. A clean dryer vent also prevents long dry times which will save you money on costly electric bills and help prolong the life of your equipment. A clogged dryer vent can cause your dryer to overheat causing costly repairs that could have be avoided. Diagnostic Fee Waived on Any Paid Major Appliance Repair!! We repair most major residential appliance brands for refrigerators, ice makers, dishwashers, ovens, ranges, cooktops, washers, dryers and more. 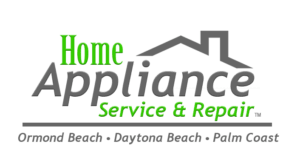 When your home appliance stops working, give us a call for service in the Ormond Beach, Daytona Beach and Palm Coast area! Admiral, Electrolux, Frigidaire, Hotpoint, General Electric-GE, Jenn-Air, Kenmore, Amana, Bosch, KitchenAid, Magic Chef, LG Electronics, Maytag, Samsung, Whirlpool, and More….. Remember to do a diagnostics check of your appliance for minor problems, such as an appliance being inadvertently unplugged, circuit breaker tripped, clogged or dirty dryer vent or even the water supply accidentally being turned off to the washer or ice maker. This could save you from lost time and frustration. 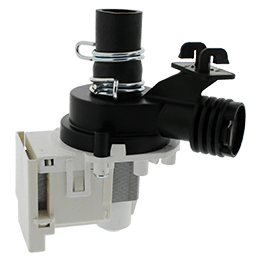 For those technically savvy individuals, we now offer the largest selection of OEM Parts Nationwide. At Home Appliance Repair & Service, we believe that repairing the appliances in your home is only the very beginning of the job. 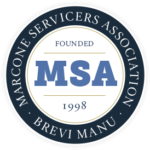 When you work with our team, you can trust that you will be working with expert technicians who take pride in the cleanliness of their work; that pride is reflected in how we treat you, as well as how we treat your home. 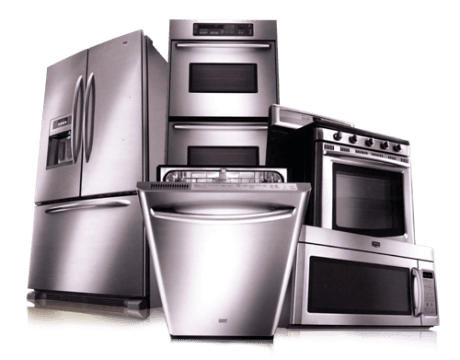 Appliance repair for Samsung · LG · GE · Bosch · Whirlpool · Kenmore · Frigidaire · Hotpoint · Electrolux · Kitchenaide and many more manufacturers. Home appliance repair specializes in washer repair or washing machine repair, dryer repair, dishwasher repair, microwave repair, oven repair, refrigerator repair, freezer repair and more.